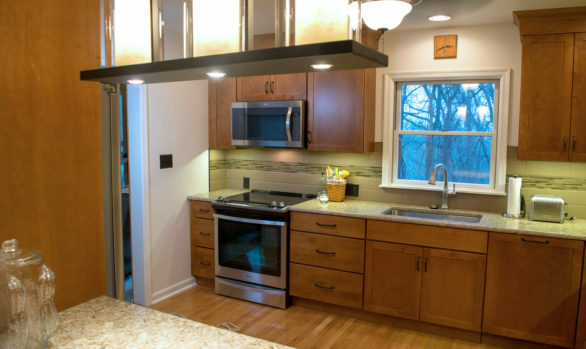 The homeowners decided it was time to forgo their outdated bathroom for a more functional and appealing space. Most of our customers live in their homes during a remodel, but because it was their only bathroom, our clients decided to go on vacation for two weeks. 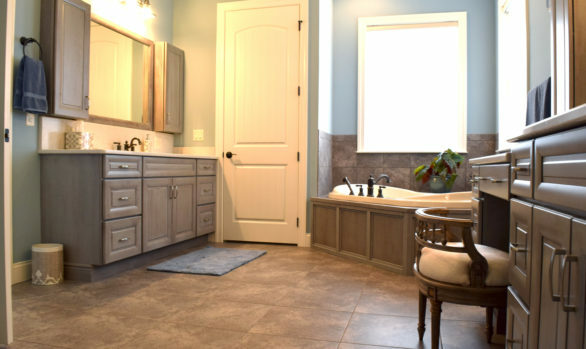 They returned home to a spectacular bathroom transformation! There are many storage options available. Selecting the best storage solutions for your space is a benefit of working with a designer. New cabinetry and shower shelves will keep this bathroom organized. This video shows why the Chorerograph Collection makes it easier than ever to design, organize and create a shower spaced around you.